AML Joiners hand make all our interior doors in our joinery workshop just outside Cardiff. We offer a design, build and fitting service for clients in Cardiff, Pontypridd, across South Wales and beyond. 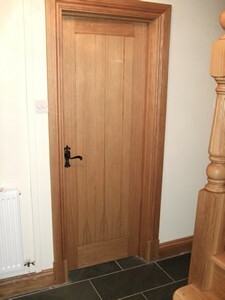 Whether you are looking for a solid interior door, an oak door to match the wood in the rest of your room or house or a more unusual timber to meet a specific need, we can help you achieve the right look for your home. 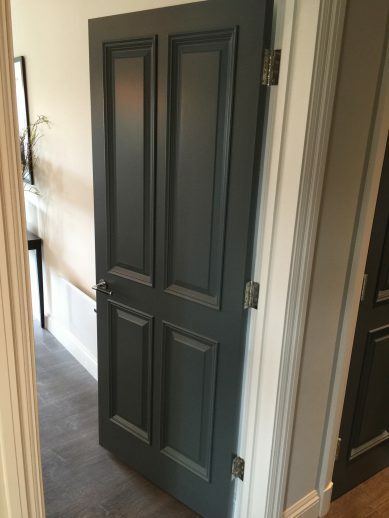 Not only that, but with our tailored fitting service we can fit matching surround and skirting to ensure the whole room looks consistently finished. Call us today for a free no-obligation quote, where we can guide you through the options and choices you have available.